Cavaliers, once the standard barer of the BVI Cricket Association Twenty 20 league, winning the first four titles before Vincy ended their streak in 2013, is now a shadow of themselves. Cavaliers beat Vincy two weeks ago to secure their position in the BVI Cricket Association LIME Twenty 20 League Premier Division for another year, but on Sunday, a seemingly different team faced Vincy in their playoff encounter in Greenland, one that saw the four time champs’ most pathetic display in their storied history. Cavaliers lost by nine wickets after being schematically bowled out for an anemic 63 in 11.4 overs, in a match where Desron Maloney ripped through the order taking 3-for-10, made a catch and had a supporting 22 not out for Man of the Match honors. The carnage started early as opener Mohammed Hassan went for a duck and his partner Dorian Augiste was run out for two. Bharat came in and somewhat stabilized the innings, resisting enough to score a team high 25, before he was caught by Kenrick Leslie off Earl Prescott’s bowling. From there, the next three batsmen went for five runs each as they reeled at 45-5 and the lower order systematically collapsed for 18 runs—seven of which were scored by Dhanpaul Chrisnanand. Vincy raced to 37 for 1, before Leslie went for 8. 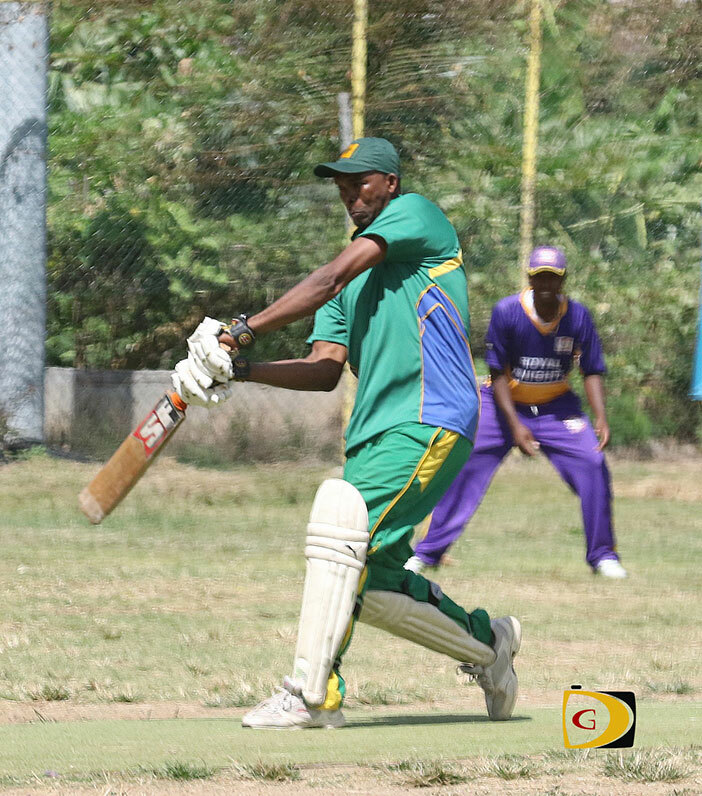 Ferris Pope, the other opener finished with 33 not out including three sixes and three boundaries, while Desron Maloney had a contributing 22 not out to send them through to the semis against Royal Knights on Sunday. 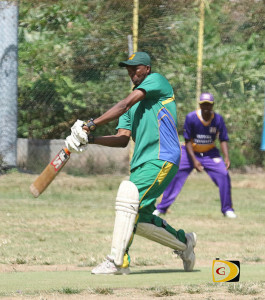 In Division I, after Colin Ollivere was caught by Dennis Browne off the first ball of the match bowled by Kellon Landon, Under The Tree’s Emrold Prince blasted a stroke filled 101 not out in leading their chase down of Island Stars’ 171, for a seven wickets victory. Landon’s tally included 11 boundaries and six sixes, from the 58 balls he faced.